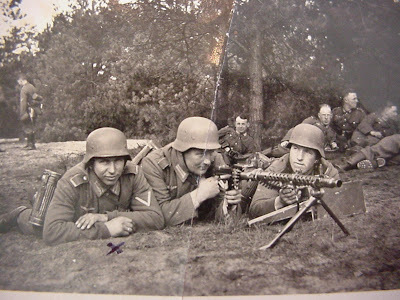 The Maschinengewehr 34, or MG 34, is a German recoil-operated air-cooled machine gun that was first produced and accepted into service in 1934, and first issued to units in 1935. It accepts the 7.92×57mm Mauser cartridge. 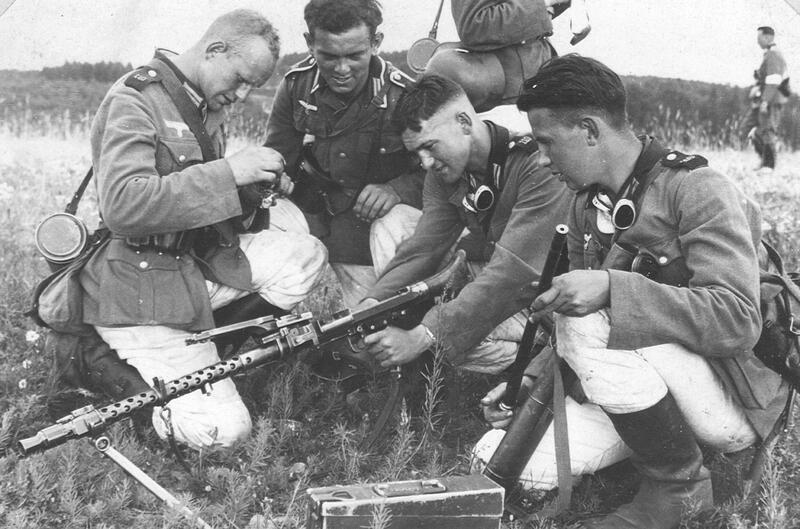 The versatile MG 34 was arguably the finest machine gun in the world at the time of its adoption and deployment with the German Army.It entered service in great numbers following Hitler's repudiation of the Versailles Treaty in 1935, and was first tested by German troops aiding Franco's Nationalists in the Spanish Civil War. 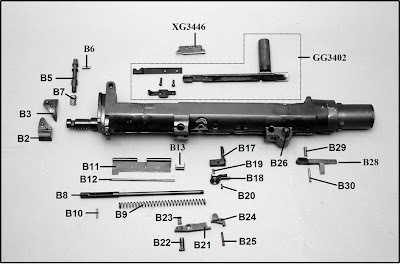 The MG 34 combined four substantial advantages over other machine guns: 1. mobility, being light enough to be carried by a single soldier; 2. an astonishing rate of fire of up to 800 to 900 rounds per minute; 3. the ability of the gun to sustain that fire; and 4. an effective range of over 2,000 meters.As such, it can generally be considered to be the worlds first general-purpose machine gun. 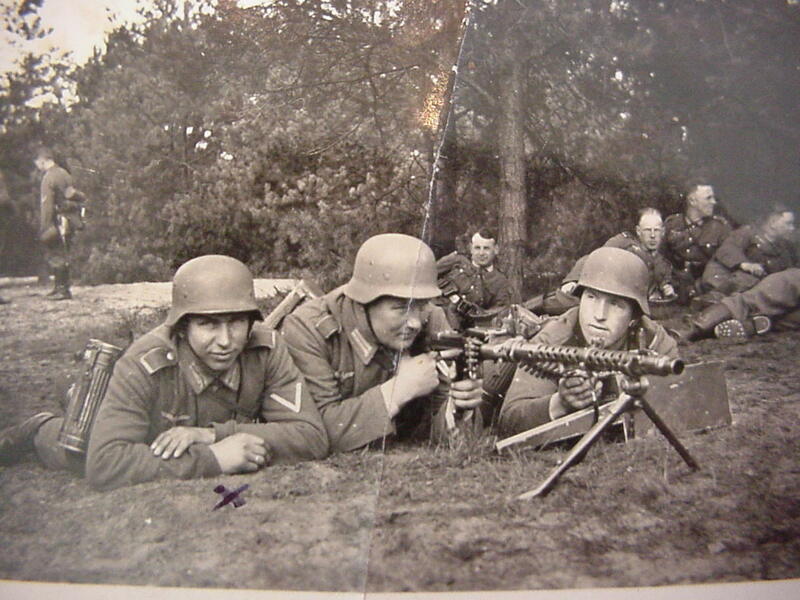 The MG 34 was based on a 1930 Rheinmetall design, the MG 30. 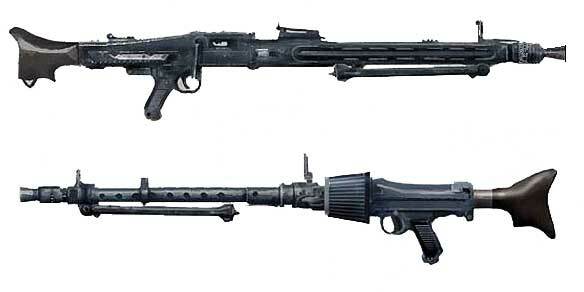 The Swiss and Austrian militaries had both licensed and produced the MG 30 from Rheinmetall shortly after patent. 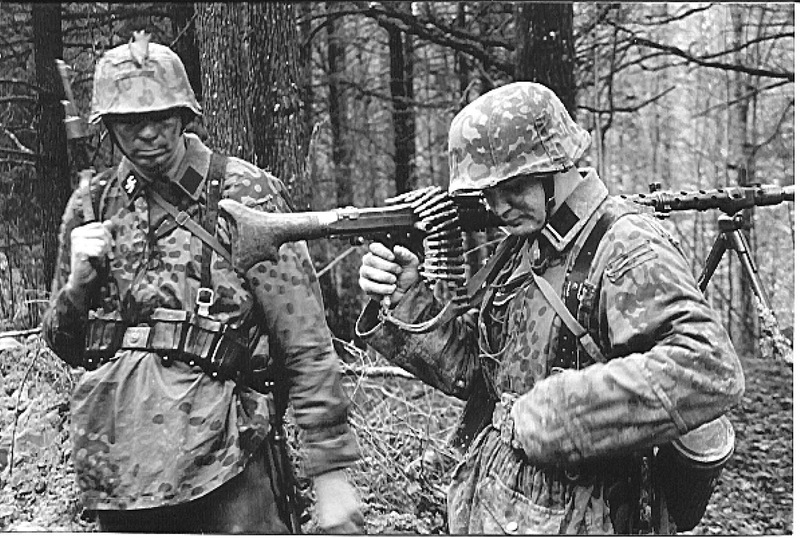 The MG 30 design was adapted and modified by Heinrich Vollmer of Mauser Industries. Vollmer modified the feed mechanism to accept either drum magazines or belt ammunition. 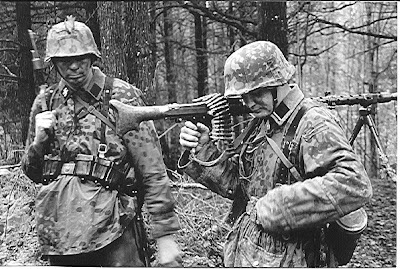 He also increased the rate of fire.The MG 34's double crescent trigger dictated either semiautomatic or fully automatic firing modes. 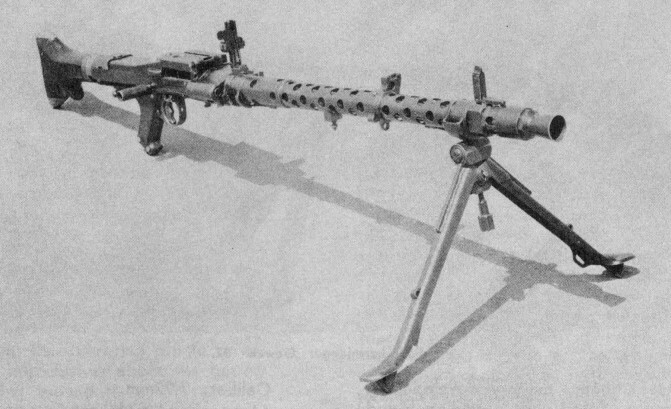 The MG 34 was used as the primary infantry machine gun during the 1930s, and remained as the primary tank and aircraft defensive weapon. It was to be replaced in infantry service by the related MG42, but there were never enough quantities of the new design to go around, and MG 34s soldiered on in all roles until the end of World War II. 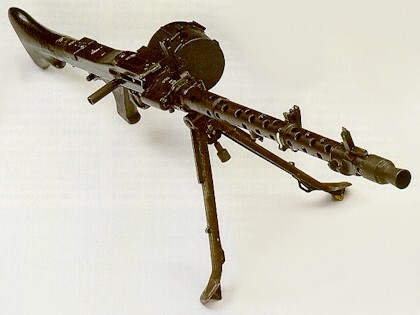 The MG 34 was intended to replace the MG13 and other older machine guns, but these were still being used in World War II as demand was never met. It was designed primarily by Heinrich Vollmer from the Mauser Werke, based on the recently introduced Rheinmetall-designed Solothurn 1930 (MG30) that was starting to enter service in Switzerland. Changes to the operating mechanism improved the rate of fire to between 800 and 900 rpm. 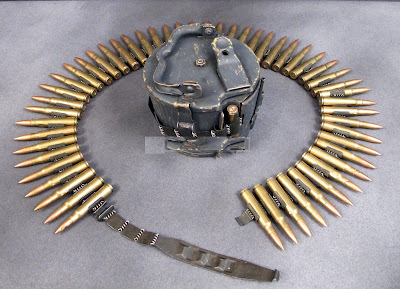 The MG 34 could use both magazine-fed and belt-fed 7.92 mm ammunition. 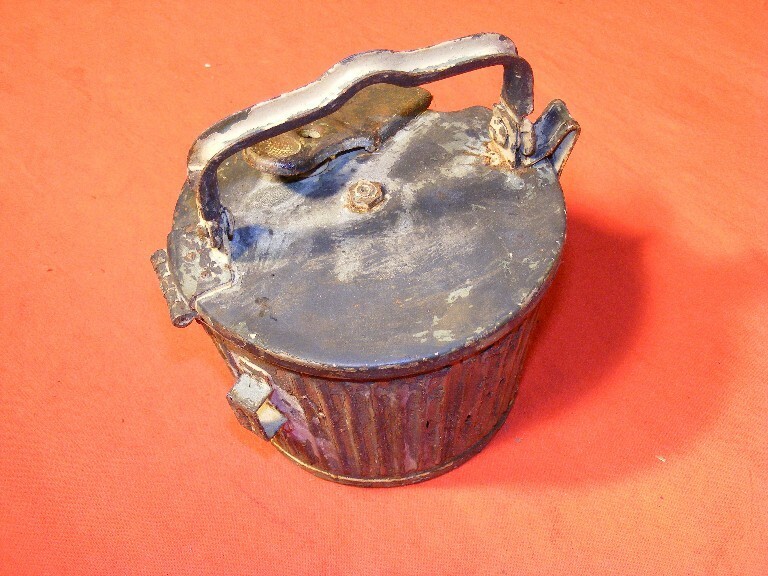 Belts were supplied in a fixed length of 50 rounds, but could be linked up to make longer belts for sustained firing. A 250 round belt was also issued to machine guns installed in fixed emplacements such as bunkers. 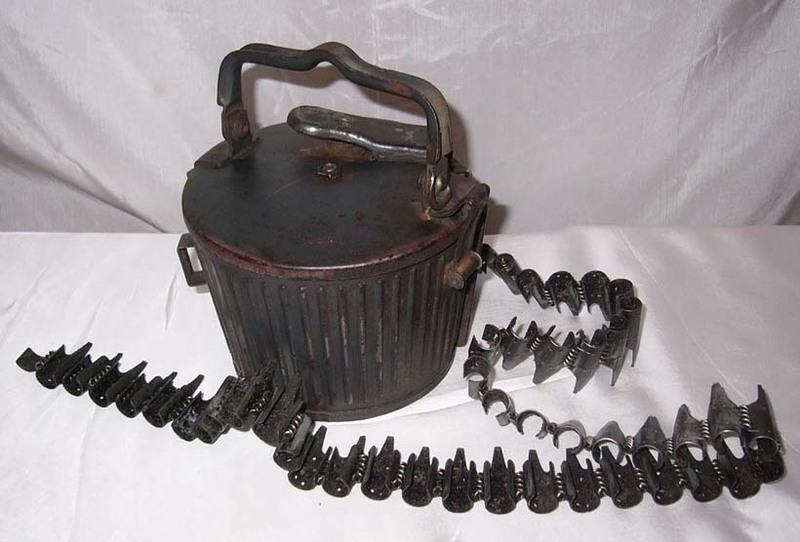 Ammunition boxes contained 250 rounds in five belts that were linked to make one continuous 100 round belt and one 150 round belt. The assault drums held a 50-round belt, or a 75-round "double drum" magazine could be used by replacing the top cover with one made specially for that purpose. 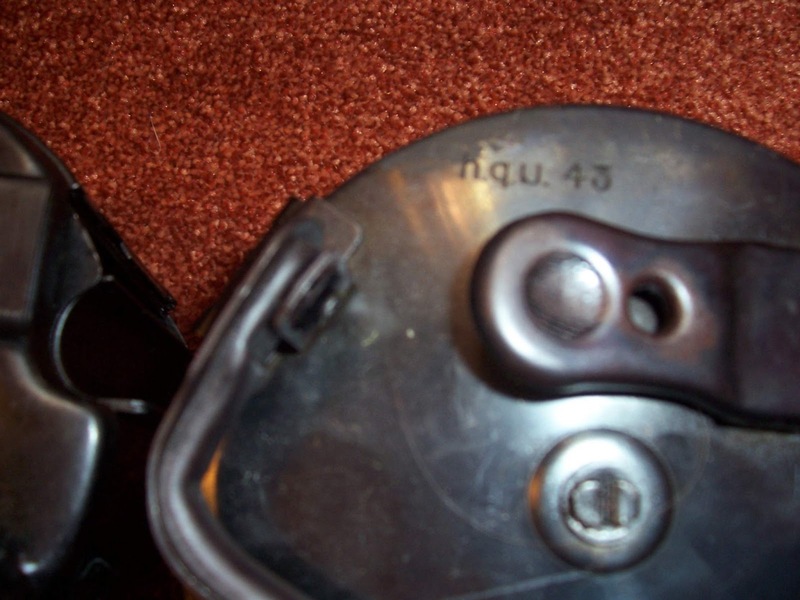 A gun configured to use the 75-round magazine could not be returned to belt-feed mode without changing the top cover again. All magazine-feed MG 34s had been withdrawn from infantry use by 1941, with some remaining in use on armoured personnel carriers.